I love dill pickles, but they contain a lot of salt and sugar. 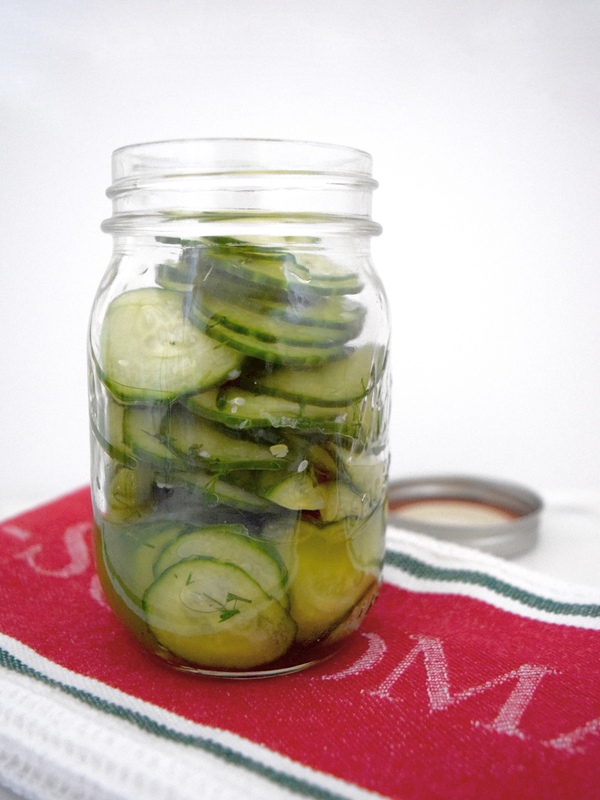 So when I saw the recipe, “Quick Pickled Cukes” in House and Homes, September 2014, I immediately decided to prepare it using Stevia, instead of sugar. What I like about making my own pickles is that I have control over the amount of salt and sugar. 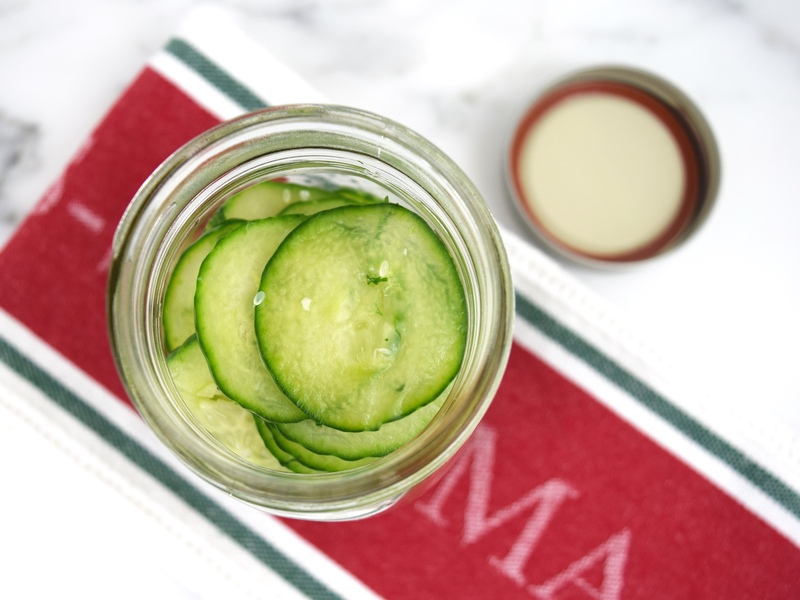 The pickles have a garlicky flavor with a subtle hint of dill. I love the crunch, the bite of the vinegar, and the ease of making it! Best of all, my picky husband liked them! Whisk together garlic, sugar and vinegar together in medium mixing bowl, until sugar has dissolved. 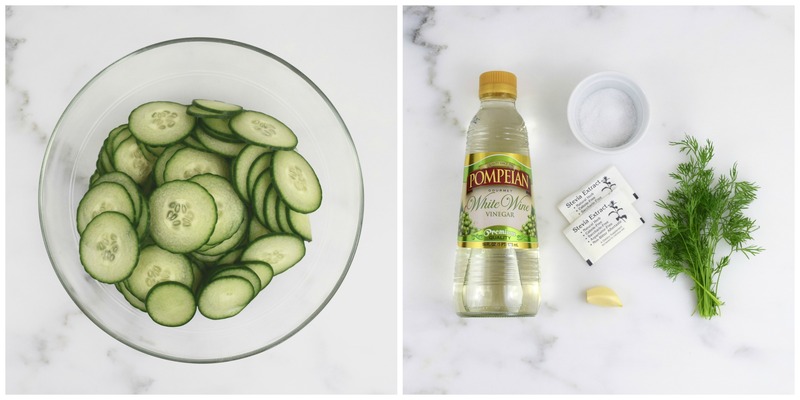 Add cucumbers and dill. Season with salt. Mix thoroughly. Cover and refrigerate for an hour. Stirring occasionally. 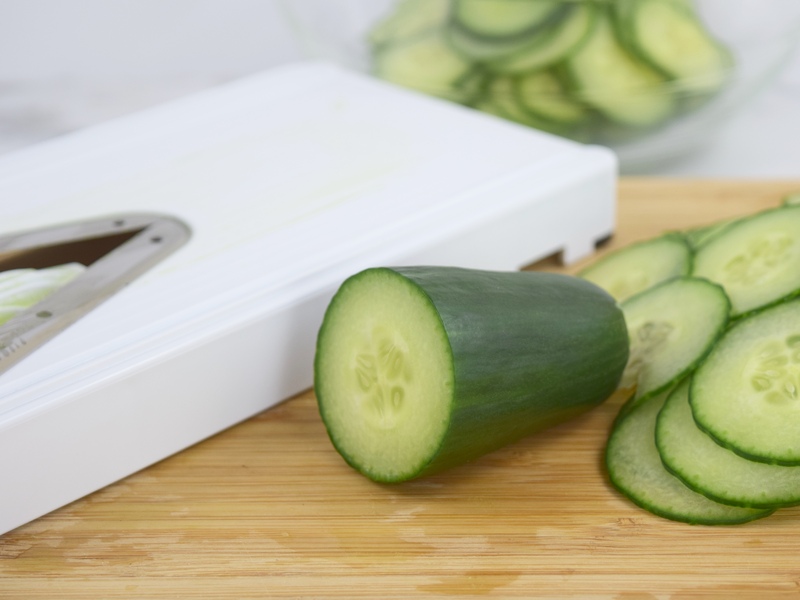 Place cucumbers in an airtight container. Store in refrigerator for up to 5 days. Drain liquid before using. Makes 2 cups.